Since moving to Brooklyn, my online shopping has increased significantly. I thought I did a lot of online shopping when I lived on adorable Goodyear Lake just outside Oneonta, New York. The View from my little cottage on the lake in Autumn. Little did I know that the crowds in Brooklyn stores were outrageously long. On top of that, the clerks and staff are very rude, the stores are disorganized messes, and the prices seem to be higher. 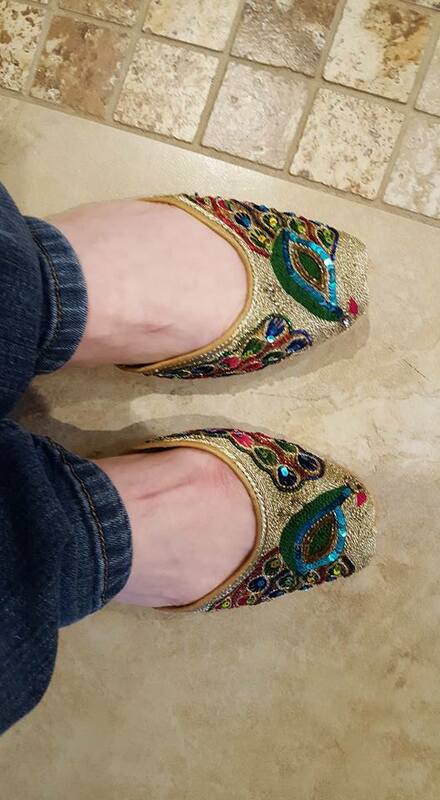 My friend Sandra posted on Facebook that she had fallen in love with a pair of shoes. She jokingly said she wanted them for her Birthday. She was kind enough to play cello at our wedding as a gift to us. She is a very talented cellist. The music was so beautiful that it brought tears to my eyes. We've been wanting to send her a thank you that was better than the small gift card we gave her at the wedding. This was the perfect opportunity. 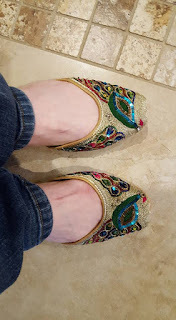 I found the website and ordered her the cutest little peacock shoes. Zebidah.com - I'd never heard of them. I don't even know how Sandra found them. There was no option that I could find to send a card or gift wrap, so I emailed the general email. This is a special birthday gift for a friend. I didn't see the option, but if you can, would you please put a note in that says Happy Birthday from Eric and David? It can even be written on a scrap of paper. If not, I understand. I just thought it was worth a try. Within a few minutes, I got an awesome reply. All I could do was smile. Now that is a great response. They got a real card and put it in the mailing without even charging me extra. If I ever need to buy women's shoes again, I think I'll look here first. They are top notch. Sandra got the shoes and loved them. This too made us smile. It was a fun way to surprise someone who has been so special to us. I didn't have to wait in line. I had no rude people to deal with. I found the perfect product, and I got to give some love along with it. Thank you to Yash for making this gift delivery extra special.